Neither player can add cards from their Deck to their hand except by drawing them. 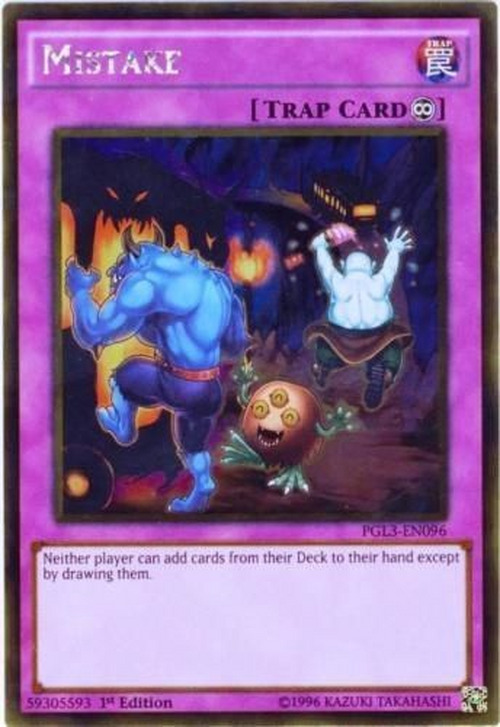 Sangan, Tardy Orc, Tour Bus To Forbidden Realms, and Tour Bus From the Underworld appear in this card's artwork. 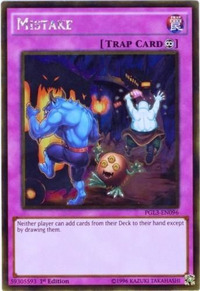 This card's artwork features Tardy Orc, who, as his name implies, missed the Tour Bus From the Underworld. This card depicts Sangan making the mistake of boarding the Tour Bus To Forbidden Realms and not realizing that he's boarding the wrong bus, ironically meaning that Tardy Orc was luckier. He was later taken to the Forbidden Realms and became banned in the March 1, 2013 Forbidden List, more than 4 months before this card's initial booster pack was released. Ironically enough, the effect of this card would prevent the effect of Tour Bus To Forbidden Realms from working, and would also make the effect of Shared Ride obsolete, as that card's effect depends on the opponent.